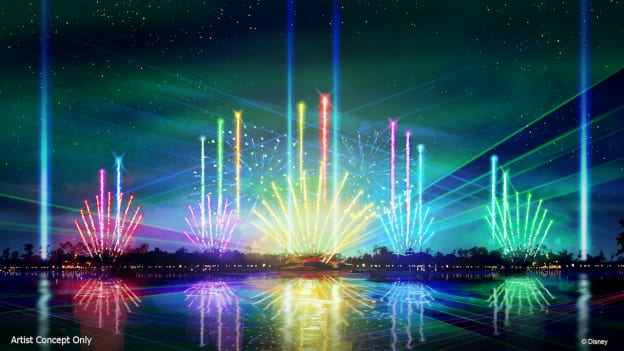 Epcot’s new nighttime spectacular has an arrival date. The Adventureland entrance at Disneyland may be replaced for crowd control. 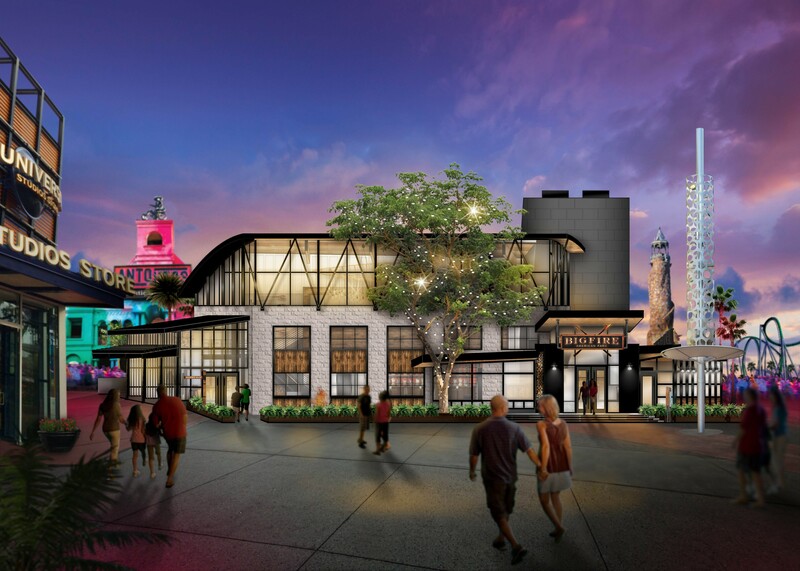 A new restaurant is coming to Universal Studios CityWalk. As you may already know, Epcot’s current nighttime show, the wonderful IllumiNations: Reflections of Earth, is going away this year for good. Now, we know exactly when it’s leaving and when its replacement arrives. On September 30, IllumiNations will perform its last show at the World Showcase Lagoon; the very next day, a new show, entitled Epcot Forever, steps into its place. Epcot Forever is, to note, a limited-time show with songs that “paint a picture of the park” along with lasers, lights, fireworks, and more. Hopefully, Epcot Forever is a worthy replacement, though why make it limited time? If people like the show, it could easily be the new IllumiNations, running for years on end. Talking about things go away, let’s talk about something both esoteric and kind of heartbreaking. First reported on Twitter by Disney fan and theme-park videographer Matthew Gottula, Disney has filed a permit to demolish the current Adventureland entrance marquee as part of the Project Stardust campaign to improve crowd flow and control as Star Wars: Galaxy’s Edge opens this summer. On one hand, anyone who’s traveled to Disneyland in the last few years knows that a major point of crowd congestion is the Adventureland entry point. Trying to improve that is a fine, understandable choice. But doing so by gutting something that’s been around since the park opened is a sad decision. The personality and style of the marquee — yes, it’s just a marquee, but still — is going to be missed. Staying in Disneyland, let’s talk about something a little bit more expected, and a little bit less depressing. As of right now, if you have the MaxPass add-on to your ticket at the Anaheim park, you can now get reservations for nighttime shows like Fantasmic and World of Color. These two shows are among the most popular attractions of any kind at Disneyland, so it’s unsurprising to see them included in the MaxPass add-on. MaxPass, a paid version of the FastPass that you can get daily, continues to be one of the more worthy additional expenses to your trip; getting early reservations to these shows makes the touring day a lot easier. Let’s shift from Disneyland Park to…Disney California Adventure. (Don’t worry, we’re about to go back to Orlando.) You may be aware of the fact that The Lion King is getting itself a computer-animated remake this summer, the same summer when it celebrates its 25th anniversary. DCA is celebrating with a show full of live singing, dancing and more, and it now has official run dates: June 7 through September 2. DCA is badly in need of live shows, compared to its sister park across the Downtown Disney Esplanade; hopefully, this limited-time show won’t be the only one in 2019. So, as promised, let’s head back to Orlando, and right back to Epcot. With the 50th anniversary of the Magic Kingdom on the way, and the 40th anniversary of Epcot in 2022, there’s plenty of refreshes and refurbishments going on in this incredible park. But a report suggests that there are some even more drastic decisions coming for Future World. Some of the current buildings, including Club Cool and Innoventions West, may go away in place of things like a beer garden and a Starbucks. Here’s the thing: Future World is unquestionably in need of refreshes, and has been for a while. But installing a permanent beer garden, a new place to get a grande chai tea latte, and the like isn’t the best way forward, considering the ostensible purpose of Future World. The plans here have not been made fully official yet, so maybe there’s a sliver of hope that this isn’t the future of Future World. For our last story, let’s stay in Orlando, but head over to Universal. Coming this summer at CityWalk, they’ve got a brand new restaurant called Bigfire. From the description, Bigfire sounds like a truly tantalizing experience: it’s a two-story full-service restaurant designed to recall a grand lakeside lodge, all the way down to being able to prepare the campfire treat to end all campfire treats, s’mores, at your own table. Bigfire, admittedly, sounds like it’s in the vein of some of the great, woodsy restaurants at Disney World’s Wilderness Lodge, but the more, the merrier.